As wellness curator and salon hostess, aya is delighted to be at your service. 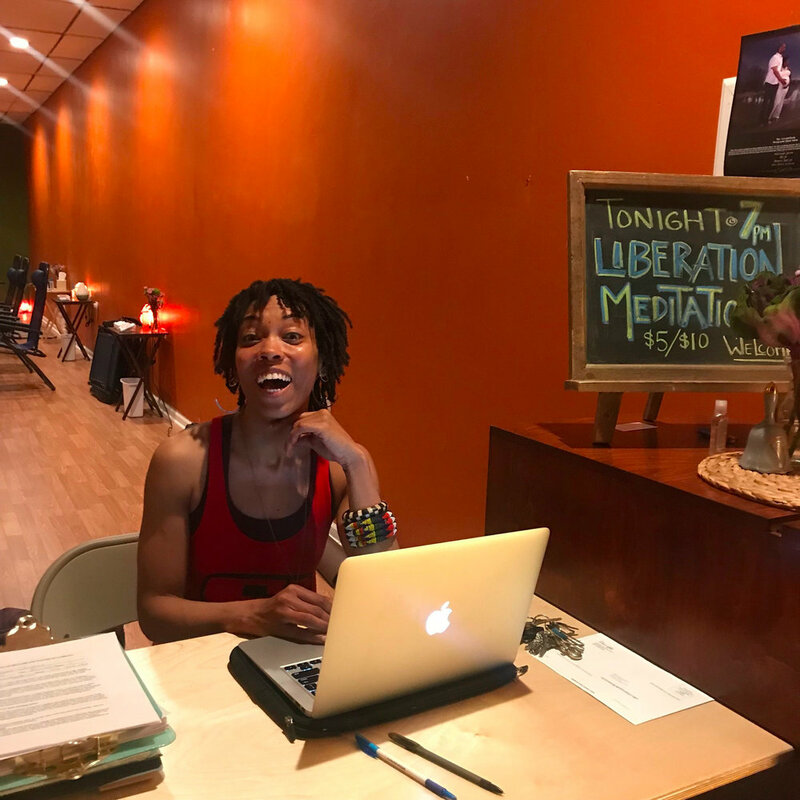 Haji Healing Salon, L3c arises in response to the discord and violence plaguing our communities and breathes new life into South Side Chicago. This vibrant space for transformation is activated by powerful instructors, therapists and healers, with the shared intention of inspiring and supporting people on a healing path. Because the debasement of Black lives in these times, makes true healing a radical act for us, HHS aims to make healing a lifestyle and THRIVING our resistance! Owner and wellness curator, Aya-Nikole Cook has guided HHS from humble beginnings as a fibroid support group in 2015, to pop-up wellness business in 2016 to thriving social wellness enterprise in 2018. Now occupying it’s first brick and mortar home at 746 E 79th Street, Haji Healing Salon supports communities in becoming radically healthy - one person at a time - by integrating Yoga/Meditation, Acupuncture, Asian Style Bodywork, Reiki and varied wellness practices, into a practical, healing lifestyle. Core offerings are extended to communities in need and made more accessible through pop-up programming and modified fee structures, made possible by our subsidization business model. Hire HHS to provide Corporate Wellness within your workplaces, conferences, summits and convenings.